Main Point: Celebrate what God has done! 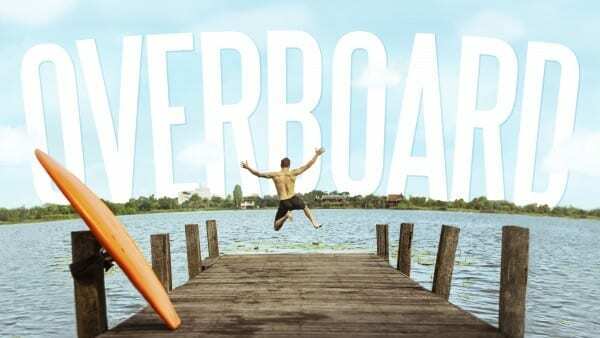 In our third week of Overboard, we finally got to see Ollie take to the lake and begin wake boarding. See what happened! Ollie saw some success in his wake boarding but at the end, suffered an injury during a weightlifting session. Make sure to come back next week to see how he is! Nigel had some wise advice for Ollie – it isn’t just the people around Ollie he should be grateful for because ultimately all we have comes from God. Nehemiah knew that and led the nation of Israel to celebrate what God had done for them. In your family this week, take time to talk about the ways God has blessed your family and find a memorable way to celebrate those – maybe it’s a celebration or a party, maybe it’s a visual reminder in your house. Whatever it is, make sure to celebrate what God has done.